This book captures the thoughts of many of Tosh's closest confidants and generals to take you inside the mind of the genius Bush Doctor. It will help you discover the man, the music and the magic of one of the most important musicians in history. - Native Wayne Jobson, Producer of the Peter Tosh film Stepping Razor/Red X Ceil Tulloch's important and timely Peter Tosh compendium reminds that Tosh was a major figure, not only in the realm of reggae, but in the realm of contemporary music more generally. 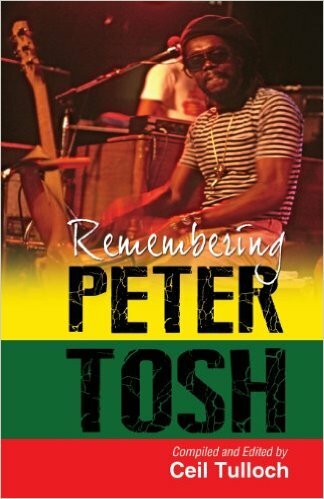 - David Katz, Reggae historian, author As one-third of the Wailers, icons of reggae music, the late Winston Hubert McIntosh, better known as Peter Tosh, continues to gain many fans all over the world. By way of his hugely successful solo career, many people knew Tosh to be a hard-hitting, unapologetic and controversial artist, who spoke the truth in his lyrics and brought attention to the plight of the poor and downtrodden, both at home and abroad.